Renovated and move-in condition. Located off Southern Parkway in close proximity to Iroquois Park. This adorable home has refinished hardwood floors and updated kitchen including appliances. The furnace, air conditioner and replacement windows are all 1 year old. The partially finished basement is large with a fireplace (could have an extra bedroom in basement). Sunroom off of formal dining is an added bonus. A 2 car garage and fenced rear yard complete the package. Hurry, this darling home will go fast. 421 W Kingston Ave, Louisville KY 40214 is a Home, with 2 bedrooms which is recently sold, it has 1,577 sqft, 0 sized lot, and 2 Car Garage,Detached parking. A comparable Home, has 4 bedrooms and 2.5 baths, it was built in and is located at 7500 Saint Andrews Church Rd Louisville KY 40214 and for sale by its owner at $ 325,000. 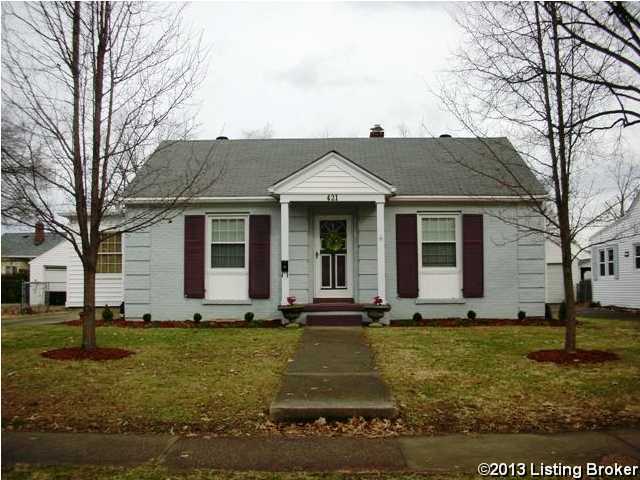 This home is located in the city of Louisville , in zip code 40214, this Jefferson County Home, it is in the NONE Subdivision, and MEADOWS are nearby neighborhoods.